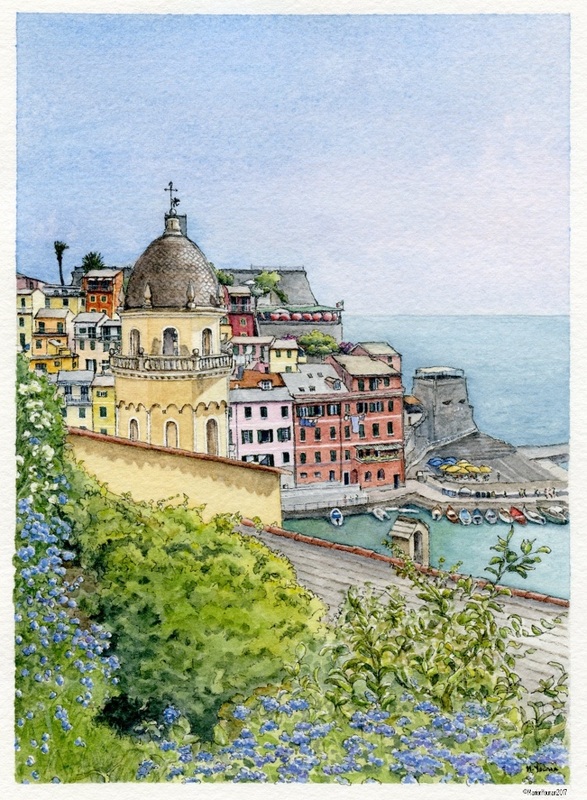 I spent the last few weeks in the beautiful Cinque Terre… without leaving my easel… in Canada! And it was lovely! The stories flowed so easily, and ended with declarations of longing to return. 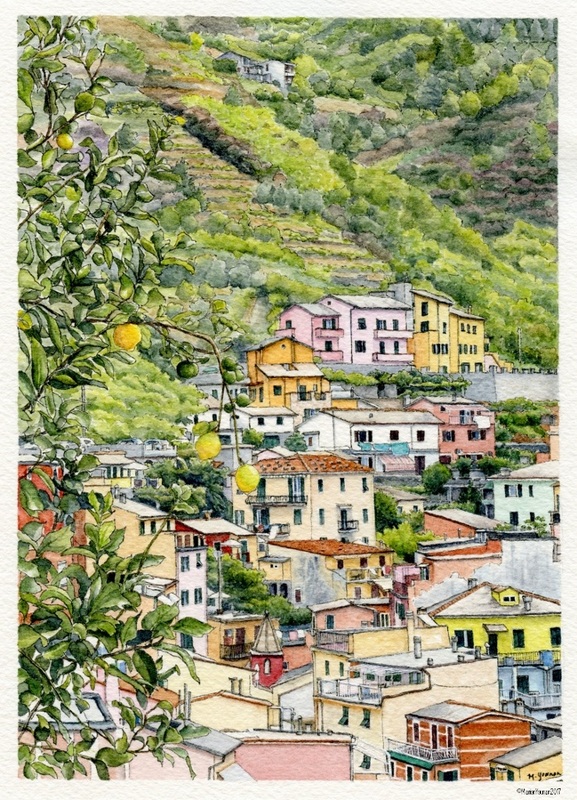 More than any other Italian subject I’ve painted, the Cinque Terre elicits the most excited recognition, broad smiles, sparkling eyes, and a desire to talk. This place has a very palpable magic! And as these 2 pieces make their way to my client’s home in Australia – again, thousands of miles away from the Cinque Terre – I hope the magic will stay strong, produce smiles and sparkling eyes, and a desire to share her adventures. These are really beautiful, I love the quality of the light in these paintings. 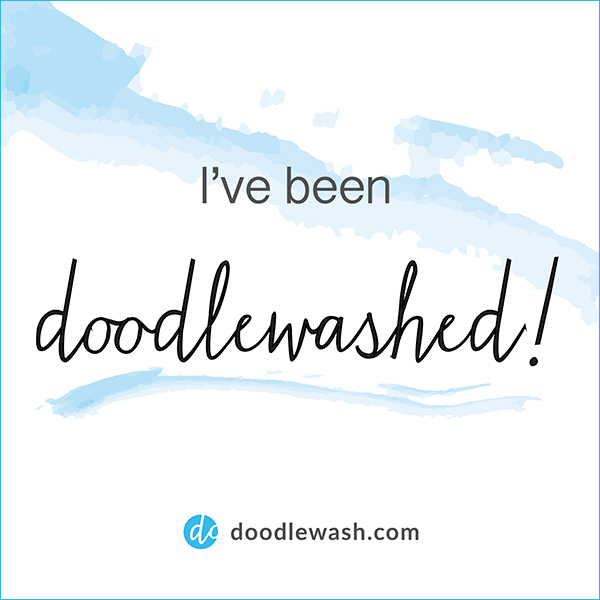 I am just starting out doing commissions and was interested in how well you have it all explained on your website. I love sketchy travel drawings, unfortunately I have more sketching then travelling at the moment, but next year should be different. Karen. Hi, Karen: Thanks for the feedback on my commission services info – I’ve edited it a bunch of times based on questions I get from prospective clients, and I always wonder if I’ve struck the right amount of content. Live and learn, as they say. Thanks also for your kind words on the pieces. I really love doing commissions and hearing the stories of why the chosen subjects mean so much. Best of success on your commission endeavours, too!